Ideally located in the heart of La Tania, these superbly renovated apartments offer skiing from your door. It is just a minute's walk to the main lifts, ski school, resort centre, shops and all the amenities. These apartments have well equipped kitchenettes and are well-furnished, in a typical Savoyard style. 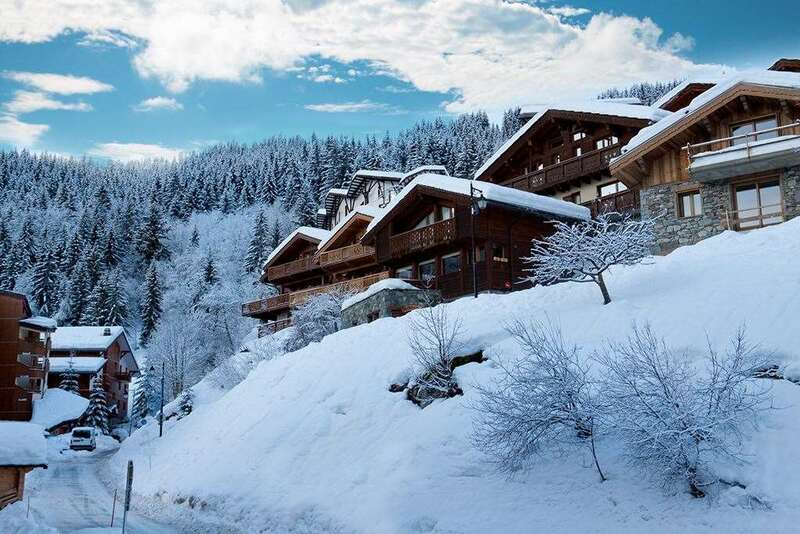 A great choice for your holiday in this incredible ski area. Rooms: All have kitchenette with microwave, ceramic hob and electric coffee machine, dishwasher, fridge, bathroom, separate WC, LCD TV and balcony. End of stay cleaning, beds made on arrival and local taxes included. Towels not included. Type C studio - sleep 2-4: living area with a double sofa bed. Cabin room with 2 single beds. Type D apts - sleep 2-5: living area with a double sofa bed and single sofa bed. Twin bedroom. Type F apts - sleep 2-7: as Type D, but also with a cabin room with bunkbeds. A refundable deposit of €200 is payable upon arrival (credit cards accepted).